Create a short film with your interpretation of "In Another's Shoes"
Do your learners have access to tablets or phones that they can use to create short films? Are you looking for an opportunity for your learners to express themselves in a creative and meaningful way? Why not ask them to create a two-minute video responding to the theme "In Another's Shoes". A new nonprofit StudentVoice.org has just launched the Global Student Voice Film Festival. This is an English-language film competition open globally to students ages 5-18. Students are invited to create a film no longer than 2 minutes responding to the prompt “In Another’s Shoes”. Participants are free to experiment with different mediums including animation, puppetry, stop motion or silent films. Your learners are welcome to interpret this theme in any way that they chose - so long as audience members can see how their creative work relates to the theme. In fact, creativity is encouraged as learners are encouraged to think beyond their first impressions to create a truly original film. Not only is this competition a great way for learners to develop empathy for others (and to learn some new filmmaking techniques at the same time) - there are also great prizes up for grabs. Winners will be honored at a live film screening celebration at ISTE 2018 in Chicago, IL USA on Monday, June 25, 2018. Travel scholarships and registration support will be available for both students and their adult sponsors. Submissions are open now with two due dates. If students would like to get feedback on their films before final submission, they must submit by Wednesday, February 28, 2018 at 11:59pm US Pacific Time. All final submissions are due by Monday, April 9, 2018. For more information including festival guidelines, submission rules and filmmaking learning resources, please visit the official website: www.studentvoice.org. If you do enter this competition - please let us know so that we can feature the best South African entries on our @SchoolNetSA social media. We would love to showcase your learners' films. South African Educators – join the #ZAedu '12 Days of Twitter' Challenge and a Twitter chat! 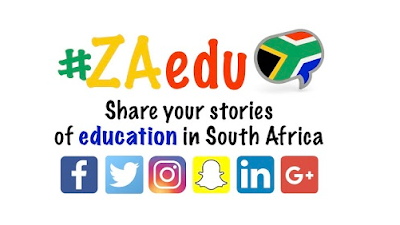 Three South African educators, Leigh Morris, Lindsay Wesner and Chaim Moch have come up with a great idea to get more South African teachers connected to Twitter. - the ‘12 days of Twitter’ challenge, and a regular Twitter chat. What is the 12 days of Twitter challenge? It takes the form of a Game Board Hyperdoc with 12 challenges, which shouldn’t take more than 10 minutes a day. There is one for people who are new to Twitter, which takes teachers through the entire process of getting on Twitter, learning about how it works, getting them to Tweet etc. and culminates in having them join our very first #ZAedu Twitter chat on 31 January at 20:00; And then there is a different “Level Up” Challenge Board for the existing Tweeps with more advanced challenges and ways to participate. If you are not already on Twitter, the organisers would love you to join them and take part in the beginner challenge. Of course, if you are already a Twitter connoisseur, organisers would love it if you’d like to take part in the Twitter Ninja challenge but also to use the beginner challenge as a form of PD for your teachers and/or encourage them to participate in the challenge. Leigh, Lindsay and Chaim have also planned a Twitter chat for South African teachers, the first #ZAedu Twitter chat will take place on 31 January. 1. Sign up for the challenge using this form. You can sign up any time before the 19th of January which will be the first official day of the challenge. 2. You will then receive your own copy of the relevant 12 Days of Twitter Challenge Board and can work through the challenges on a daily basis. Each challenge comes with hyperlinked instructions / resources so you should be able to complete it on your own but we will also be running support. 3. The organisers also created a ZAedu Facebook group so people can post questions there etc. And, of course, please pop 31 Jan at 20:00 in your diary and join in the first ever #ZAedu Twitter chat, and contribute. 1. Summative assessment: This type of assessment aims to estimate the learners’ success in meeting the learning criteria set out in a particular subject or module. 2. Formative assessment: These are the varied methods that teachers use to conduct evaluations and collect information about their learners’ understanding, learning needs and progress in a subject during the lesson. 3. Interim assessment: This is a way of evaluating a learner’s performance at periodic intervals, often at the end of a topic. 4. Performance assessment: This is a form of testing that requires learners to demonstrate the skills required by a task rather than simply answer questions about the task. Some of these forms of assessment can be more easily met by using digital tools. It all depends what devices are available for your learners to use. Rubistar (http://rubistar.4teachers.org/index.php), and irubric (http://bit.ly/2m7mIaH ) Here is a video that demonstrates how to use Rubistar. If your learners can do their assessments using online digital tools, and if they have email addresses the use of Google Classroom is a great way to present differentiated tasks to a class and collect and grade their assignments for summative assessment tasks. You don't need to be a GSuite school in order to be able to do this. Googls Classroom is freely available to anyone with a Gmail account. Your learners would also need to be have a gmail account. This video demonstrates how simple this is to collect assignments. Feedback is said to be a vital part of assessment. John Hattie, Professor of Education and Director of the Melbourne Education Research Institute at the University of Melbourne, Australia, believes that feedback is one of the top 10 influences on student achievement. Electronic quizzes are a great, fun way to assess formatively with instant feedback. Try using Kahoot (https://kahoot.it/ ), Socrative (https://www.socrative.com ). Flipquiz https://flipquiz.me for example. This video shows how to use Quizlet which is a free website which enables teachers and students to create digital flash cards. Quizlet can also automatically generate interactive games and even tests of the material you enter into it. Audio is a great, quick way to give feedback. S Word allows audio comments to be embedded within a document. Educational Technology and Mobile Learning has a useful post outlining 6 steps to add voice comments to Google Docs. I haven't tried their suggestion, but one of the ways I like to add voice comments is Google Docs is via a Chrome extension called Talk and Comment.. This works really well. Watch this video that explains how to do this. Have you thought about letting your learners create e-portfolios? Some teachers use Google Sites (https://sites.google.com/ ) for this, and each learner has their own Google site which they use as an electronic portfolio. Blogger can also be used as an e-portfolio site. One can create all kinds of tests such as spelling tests etc using Google Forms. You can also get Google forms to grade certain types of quizzes. The following video shows how to do this. How do you share links with others during class or in a workshop? I have used several methods and thought I would document and share some of them in a blog post. I use Google Classroom with all my classes. Truth is, I love the application. Whenever I have a class at school the first thing everyone does is log into their Google Classroom account where everything I want to share with the class is waiting. If I have collected a list of links on a topic for them to investigate, the list is right there in Google Classroom. 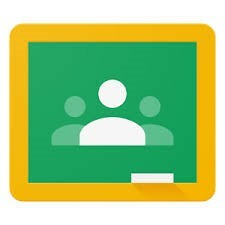 My school is a GSuite school, but if you are not you can still use Google Classroom with your class as long as your learners have Gmail accounts that you can link to it. If we are in the middle of a lesson and I want to share a new link with my class that isn’t in their Google Classroom list of links, I use the SharetoClassroom Chrome extension. I think this might have been developed by Alice Keeler. If you install this extension you can push a link to your students immediately in their Google Classroom. They don’t need to type out the URL. You have to be using the Chrome browser for this to work. SharetoClassroom makes sharing announcements, assignments, and any web page URL with learners very easy. To see how this works click on the demonstration below made by Jenn Scheffer of Burlington High School. each result. (If you hold down the Control key in Windows or Command on a Mac when clicking on a link it will open the destination URL in a new tab.) When you have found your list of resources which are now on multiple tabs, click on the OneTab extension to save these into a single list. 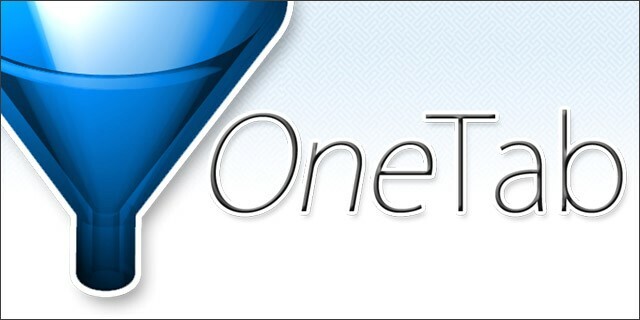 OneTab basically closes all of the tabs with just one click to form the list. Each tab can be reopened just as easily. 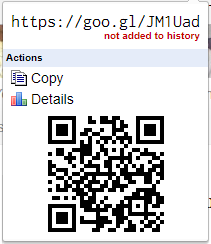 You can save the list or share it as a web page via a QR code that it generates. 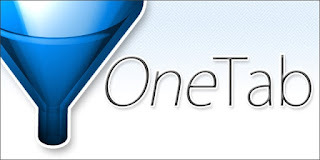 Watch Alice Keeler demonstrating how OneTab works. URL shorteners allow you to shorten your lengthy web address hyperlinks to something shorter and more manageable. If you use the Chrome browser you can add these URL shorteners as extensions which makes the URL shortening eperience so much easier! So, for example, you may be visiting a website that you ant to shorten and share with someone. All yopu do is click on your URL shorteener and it soes the job immediately. Your URL shortener will make it short enough for people to copy or to be able to add it to a document and enable it to look neat within the document. I have three URL shorteners that I like to use mainly because they are also Chrome extensions which means, as explained, you just have to click on them rather than opening them on their own websites to get the shortened URL. The Google URL shortener is also a favourite of mine because it is a Chrome extension (easy to click on) and also because it creates a QR code which you can easily share with others. Tinyurl cn be used on its website or as a Chrome extension. As a Chrome extension it simply shortens the link. As a website it gives the option of creating a custom URL using your own words. Google Tone shares websites via sound! Google Tone turns on your computer's microphone (while the extension is on) and uses your computer's speakers to exchange URLs with nearby computers connected to the Internet. You can use Google Tone to send the URL for any web page to any computer within earshot that also has the Google Tone extension installed and turned ON. They’ll receive a Google Tone notification. Watch 2minute Teacher Tech demonstrate this. To create a room, just go to TodaysMeet.com, give your room a name (no spaces, full stops or certain other characters). Decide when your room will close (i.e. how long you would like it to exist - the maximum being one month). Then click “Create your room.” and share the link. From then on everyone can communicate and chat in the link. Watch Edtechteachers demonstrate how it is used. An easy way to share all your links duing a presentation or workshop is to share your whole presentation via google Drive so that everyone can log into it. One would need to use one of the URL shorteners or the customised links, or even a QR code to share it.. There are other ways in which o share links but these are the main ones that I currently use. After looking through all the Google posts that were shared to various subscriptions recently, these are a selection that look useful for teachers https://goo.gl/PCXHbG (The link to previous posts can be found here https://goo.gl/CNO3M2).